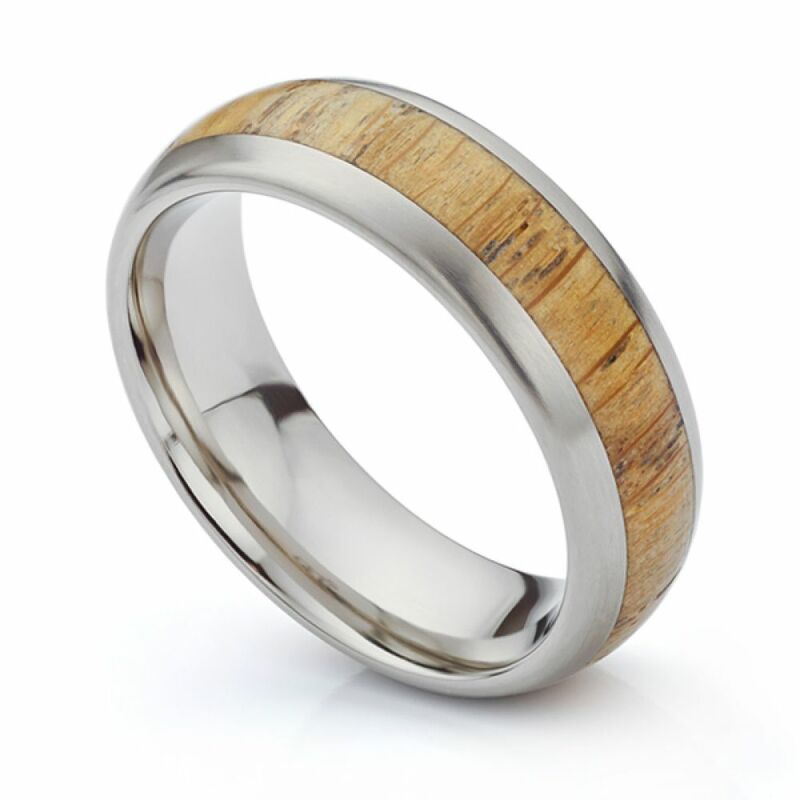 Beautifully crafted, this English Oak wood wedding ring is skillfully created in Titanium, inlaid with warm English Oak, satin finished across a 7mm wide band with a D shaped profile. This beautiful example of our inlaid wood Wedding Rings has been painstakingly crafted in English Oak. The ring itself is D shaped with a comfort fit and measures 7mm in width. The central section reveals the beautiful detail of English Oak applied in a 4mm inlay. Each ring is crafted to order and completely unique with its own wood grain detail. In contrast to many of our other wood designs, the Oak wood inlaid wedding ring has a matte finish which matches the brushed satin finish of the band itself. Please allow 3-4 weeks for delivery of this design which will be delivered by hand to your door, beautifully boxed and securely packaged. Please contact us with any additional questions on this design. We provide a free ring sizer and have a selection of loan ring size examples available to double check your size ahead of placing the final order. See the button below to check your correct finger size.